Alicante hospitals: Vanessa Hernandez 649 606 035 (12 euros an hour). Valencia region: Susan Sanhuan 96 275 8759 / 606 517 656 (50 euros per visit, no time restriction). Dénia hospital contact HELP: Jill Porter-Smith 96 575 6335 / 686 824 750. For out of hours a donation is required. Jacks Lifts S.L. : rent or buy scooters, mobility aids, hoists etc. Lynda 628 498 813, Sara 616 339 307. Keep up to date with your taxes! Municipal Taxes: for rubbish collection, sewage, etc. You may also need to pay a second instalment of Municipal Taxes. ⇒ For more specific advice, you may like to join the Association. Q. What are the formalities needed to become an official Spanish resident? If you live in Spain for more than 6 months in any year, then you are deemed in law to be resident. This entails you visiting either Dénia or Benidorm to obtain a residence certificate from the local police. The Altea office no longer accepts applications from UK citizens. You will need to make an appointment, which can be 2 or 3 months ahead. You will need your passport, your NIE, your Padrón proof of residence (see next question), plus proof of income stamped by your bank. You will be given the certificate the same day, once you have nipped out to a bank and paid your dues. If renewing, you will need your old residence card, and your current passport, plus a photo copy of the relevant page of the passport. Further help and assistance is available to members. Q. How do I sign on to the Padrón? 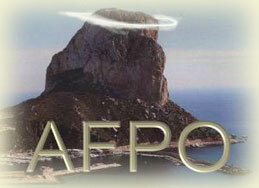 The Padrón office in Calpe is on the ground floor of the Ayuntamiento (Town Hall), Avenida Ifach 12, in the Oficina Atención al Ciudadano (OAC). You will need your passport and a photocopy of the important pages. You will also need proof that you live at your address, such as your deed of home ownership or notarised lease contract, plus (say) an electricity bill in your name. If you want to vote in Calpe local elections, when you are registering on the Padrón you can inform the Ayuntamiento of your wish to do so. You will not be asked if you wish to vote: you have to tell them you wish to do so. Office hours and further information (including a photo of the office) are available, in English, on the OAC page of the Town Hall Web site. ⇒ If you have a question not answered here, you may like to join the Association.